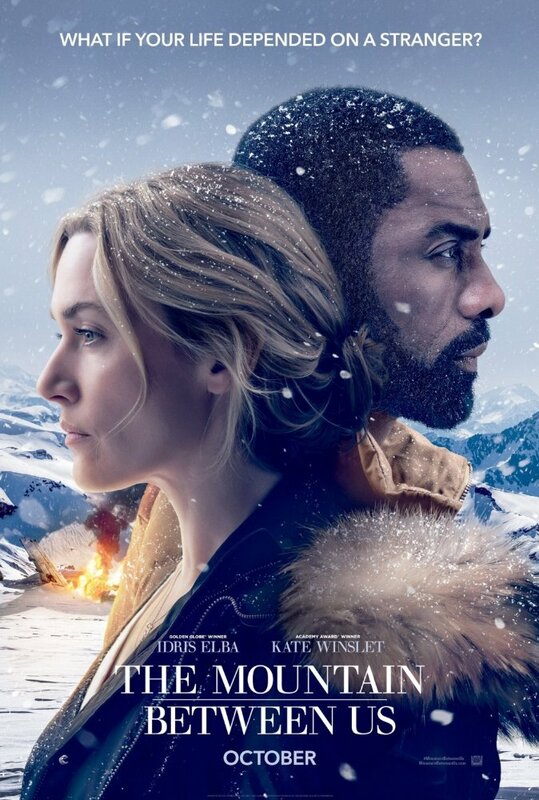 The Mountain Between Us starring Idris Elba & Kate Winslet comes out October 6th. Have you read the book? I just started reading the free Nook sample available on Barnes & Noble but I haven’t had a chance to read beyond the first 21 pages. While I don’t tend to love the genre—disaster, physical challenges, man against nature stuff—having met both the key characters in the opening pages I’m intrigued. And man oh man, I do love Idris Elba. Kate Winslet isn’t too bad either. Elba plays Ben, the orthopoedic surgeon who loves mountain climbing, while Winslet is the writer heading home for her wedding rehearsal dinner. “Stranded after a tragic plane crash, two strangers must forge a connection to survive the extreme elements of a remote snow covered mountain. When they realize help is not coming, they embark on a perilous journey across the wilderness. The book to movie adaptation—The Mountain Between Us is based on the novel by Charles Martin—comes out in theaters on October 6th with a cast that includes Beau Bridges and Dermot Mulroney. I missed the trailer when it came out. Perhaps you did too? If so, I’ve posted it here for you. Have you already read the book? What'd do you think?